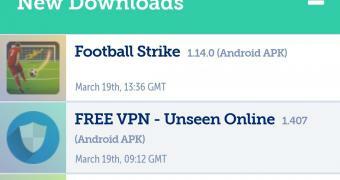 Opera for Android 51 thus allows users to browse the web securely by easily connecting to a VPN server, all right from within the browser. Opera says the built-in VPN does not create any logs, so information about your online activity isn’t stored on a server. “This means that the VPN servers do not log and retain any activity data, all to protect your privacy,” the company says. Additionally, the new version of Opera for Android introduces support for crypto-pairing, which is already available in the latest desktop version of the browser. “With the recent improvements to our Crypto Wallet, including our efforts to dramatically simplify the acquisition of funds, we are fulfilling our goal to make Opera for Android the natural choice for stepping into blockchain technology and Web 3.0 for the first time,” Opera explains.